Face of the Day is a mix of two! 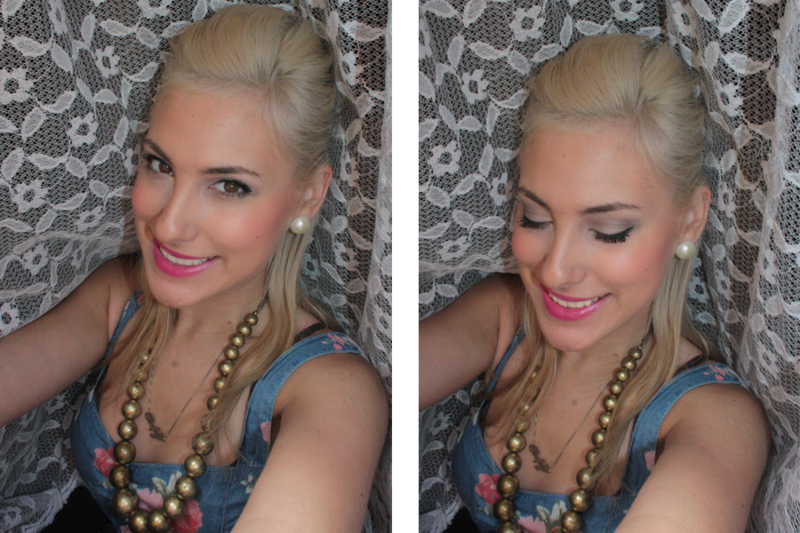 This was my beauty look for yesterday, The morning started off with an afternoon at the Waterfront with my friend Tiziana, We went to Hard Rock Cafe to have a Berrylicious Cocktail and a Strawberry Cheesecake and some Sunday gossip. 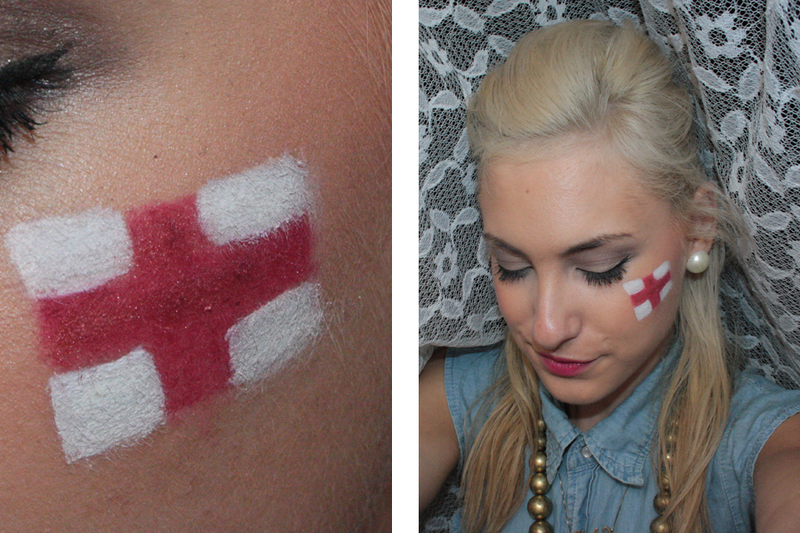 With all that underway, in the evening was the Euro cup Match England vs Italy, and i decided to do something for the match, so i used "Milk" Jumbo Pencil from NYX and used a red Lipliner from Eva Garden for the Flag. For Lips, First started with Girl about Town by MAC, Cheryl Cole's Favorite Fushia Pink Lipstick and for the Match swapped it for Russian Red by MAC. As for the look, it is a very neutral smokey look that anyone can pull off this summer! ARE YOU WEARING BRIGHT LIP COLOURS THIS SUMMER? It's getting there!! finally looking exactly how i want my hair colour to be! Gotta Support my home turf Matt! Great look! 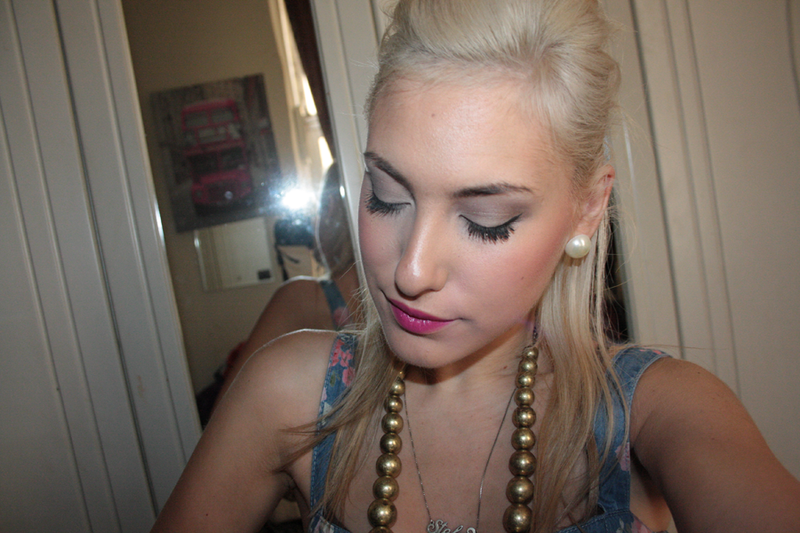 Been loving bright colours.. MAC Rebel is my favourite! !